Ultimate Fighting Championship (UFC) is inching ever-so-closer to its UFC 236: “Holloway vs. Poirier 2” pay-per-view (PPV) event, set to go down this Sat. night (April 13, 2019) inside State Farm Arena in Atlanta, Georgia. Leading the charge will be the lightweight interim title fight main event between featherweight kingpin Max Holloway and top 155-pound contender Dustin Poirier, with the winner moving on to fight Khabib Nurmagomedov later this year. 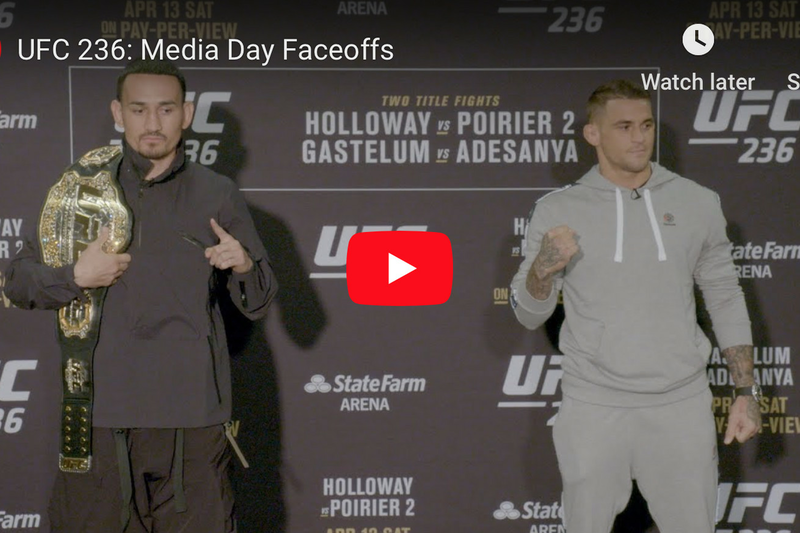 Watch them all face off at the UFC 236 media day in the video above. To see who else is fighting at UFC 236 click here.